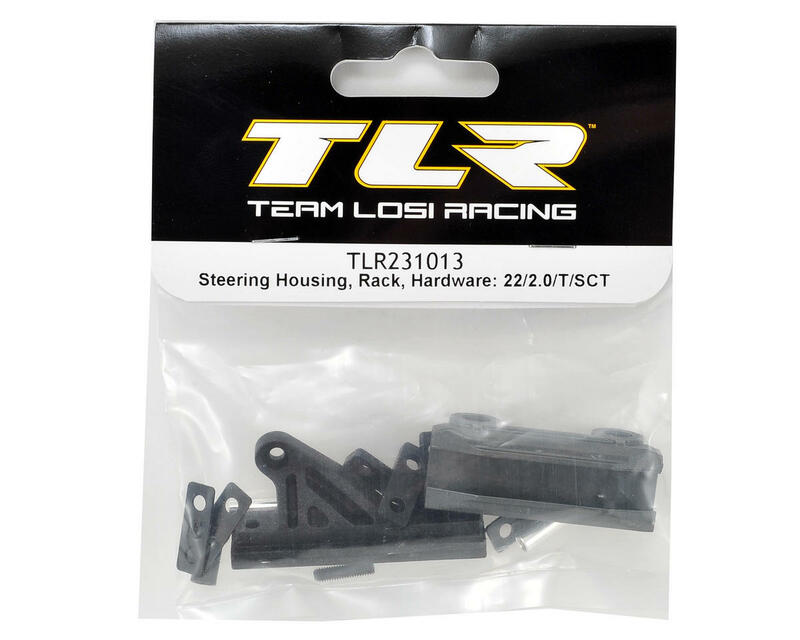 This is a replacement Team Losi Racing 22 2.0 Steering Rack & Housing Set. 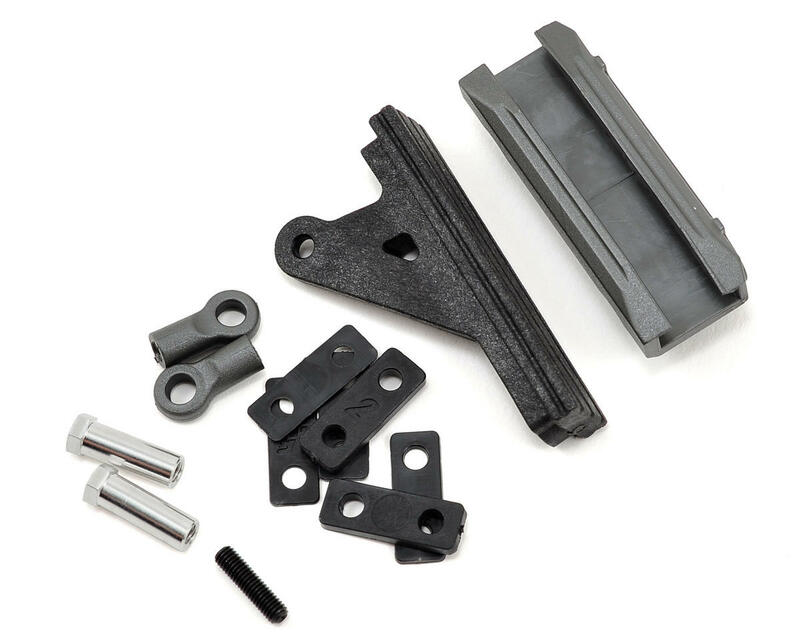 This can also be used as an optional upgrade for the first generation 22, 22T and 22SCT vehicles. Because the steering link ball studs are horizontal to the kick plane, Ackermann adjustments can be made by simply adding or removing washers. Plus, the steering link ball studs are also 2mm higher, allowing for a zero bump out setting. Open ball links for the servo steering link allow for more clearance between the link and the servo eliminating interference issues with low profile servos.